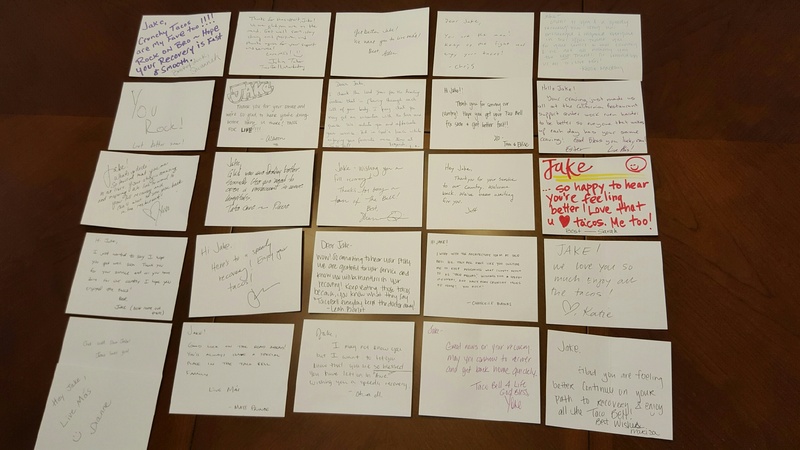 Taco Bell Corporate Sends Jake 102 Handwritten Cards! 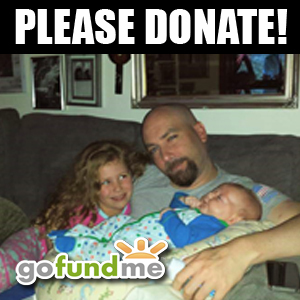 | Wake the Jake! 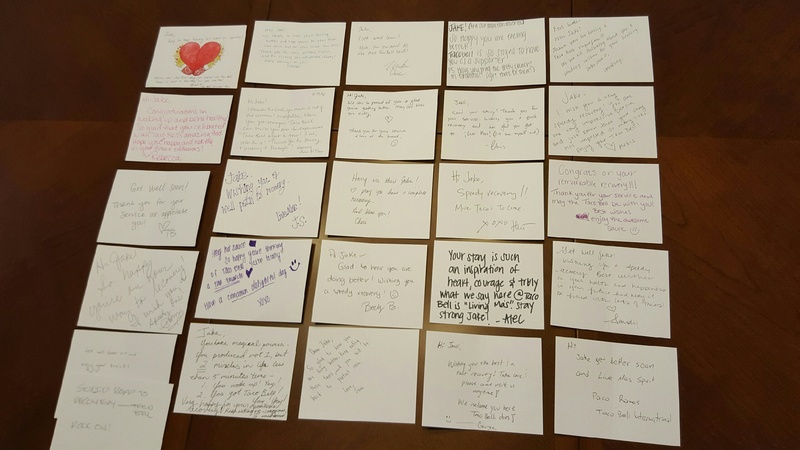 A whole bunch of Handwritten Notes! 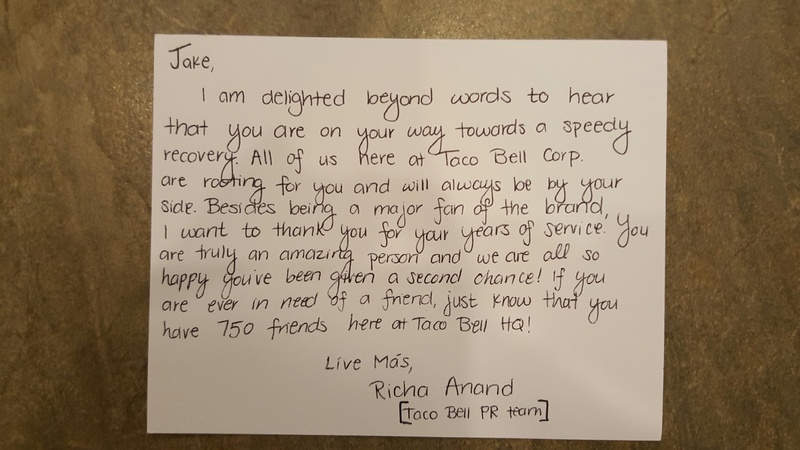 Just got a package in the mail from Taco Bell corporate in Irvine, CA. 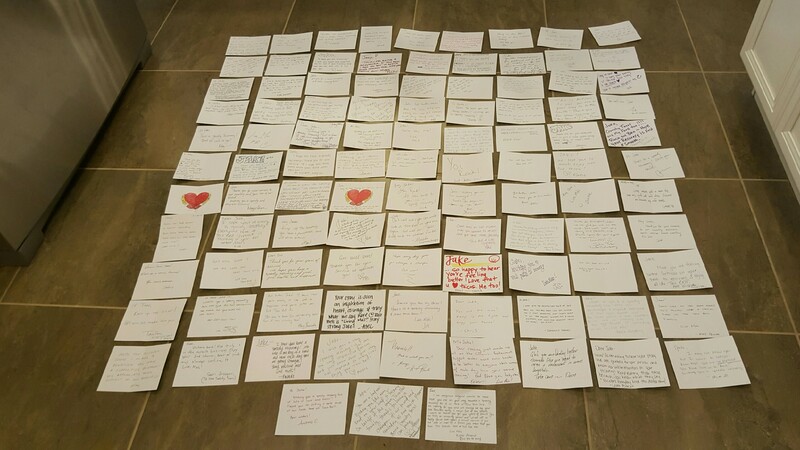 There were 102 cards individually written with wishes for a complete recovery for Jake. 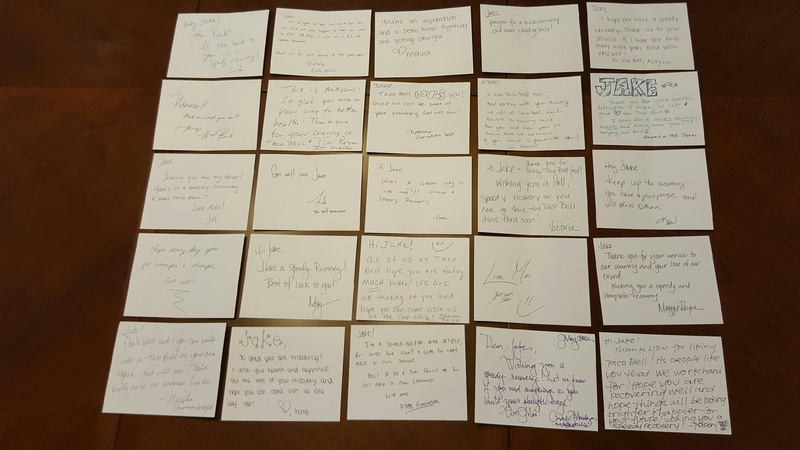 Most are grateful for his service and appreciative of his fondness for Taco Bell. 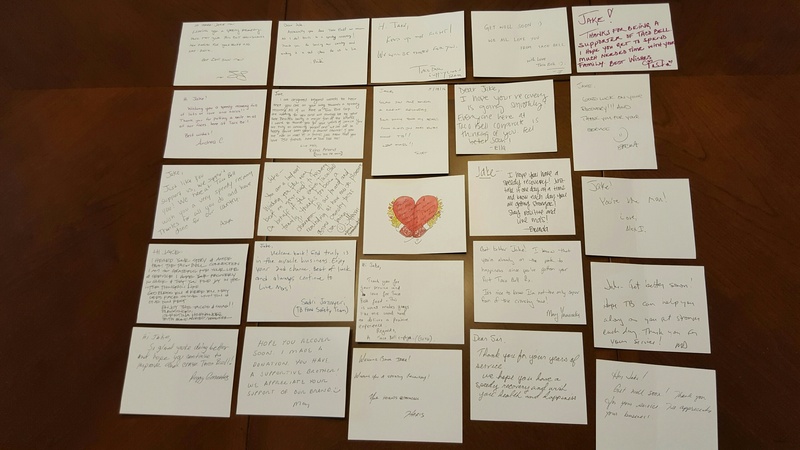 Thank you all for your love for Jake and your prayers for his continued recovery. Keep your eyes open as he just may show up in corporate. Awesome! I have a Mexican buddy that I keep trying to get to go work at Taco Bell so he can learn how to make authentic Mexican food. He threatens to hit me when I make that recommendation, though. Never a good idea. Mexico got its first Taco Bell just a few years ago. I don’t care what anyone says. I love Taco Bell!